I wrote a short article about this resource a few years ago, so I thought I would give you all a chance to have a look. 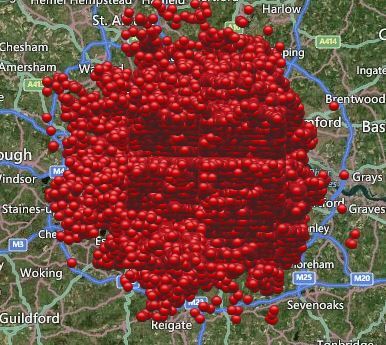 A jointly funded project, Bomb Sight, has been created to map the London WW2 bomb census between 7 October 1940 and 6 June 1941, which had previously only been available at the National Archives. Take for example one of Londons tourist attractions, Buckingham Palace, within the period covered by the census over 25 bombs fell within the boundary of the palace or very close. The Tower of London and Tower Bridge also feared no better with over 15 bombs landing close. Taking a look at the map, so that you can see all of the London are, it seems there was no peace for anyone inside the M25, even up to St Albans, Hatfield and Hoddesdon. A drop down menu gives you the options of, the first day of the Blitz, street view, anti-invasion sights, 1940’s bomb map. Another menu gives you the option of seeing the first night, weekly or aggregate bomb census. Why not grab yourself a cuppa, take five minutes and explore. It does not matter if you have family from the London area or not – I guarantee you will spend more time there than you planned. This entry was posted in News and tagged bomb, Buckingham Palace, History, interactive, London, London Bridge, map, military, River Thames, Tower of London, transcription, War, World War 2 on May 31, 2015 by carol. Aberdeen was bombed during WW2 for three years. This devastated those living and working in the area. In 1943, according to the Press and Journal, was the deadliest attack killing nearly 100 people and injuring many. At one time in the air 10 Luftwaffe Dornier 217 bombers circled the district, then swooped low, dropping bombs with no regard life or limb. Killing, maiming from a distance and leaving panic and trauma in its wake. 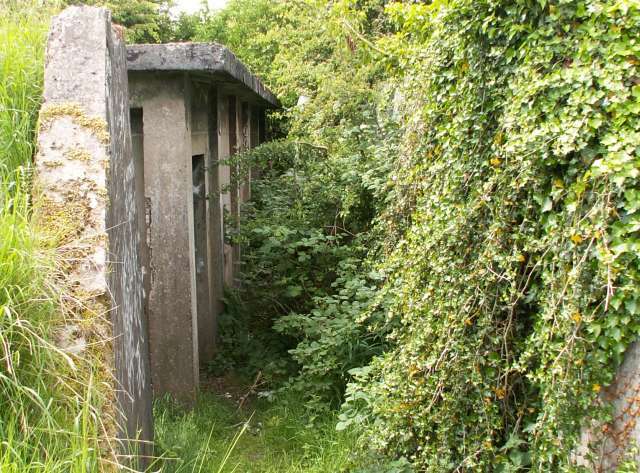 The city saw its last raid in 1943 but had seen 141 others that were classed as minor. Now an interactive map has been developed to show where and when the bombs fell and if your families life was impacted by these events. This entry was posted in General, News and tagged Aberdeen, Dornier, event, interactive, Luftwaffe, map, military, Press and Journal, World War 2 on May 31, 2015 by carol. If you don’t want the hassle of running and maintaining your own blog, but you like the idea of informing like minded people. You may be one of the people I am looking for. Have you an interesting story to tell about a a member of your family. Tell about the trials and tribulations of family historians or a local history snippet on people or places; someone involved in WWI, WWII or other conflicts, a man or woman who stayed at home to do ‘war work’ or even a someone who objected to war. You could tell how to research in a specific place i.e. the National Archives. It could be an historical event that you would like to tell about – something that happened in your locale. Do you have first hand experience of research in America, Canada, Australia or Europe and can give advice on where to look, with a few hints and tips that someone with local knowledge has learnt over the years. 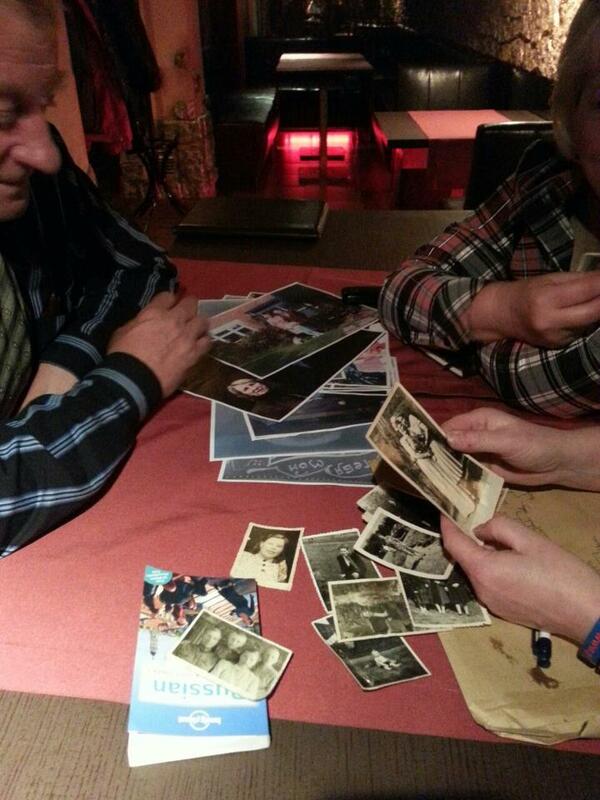 Have you any tips on how to store your family history. 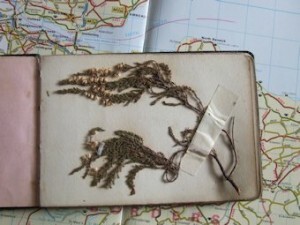 Do you have any suggestions for storing photographs or other research materials. Or have you been on a visit to another country to do some family history ‘stuff’, to a war cemetery, a battlefield or some other interesting place – let me know. The blog can be short, long or something in between but it must be your own work. 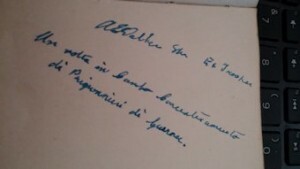 This entry was posted in General, News and tagged America, Army, Belarus, blog, blogger, canada, census, education, Europe, event, family, France, guest, History, memorials, military, Morayshire, names, New Zealand, photographs, Poland, stories, tales, Ukraine, United States, World War 2, write, WW1, yorkshire on February 28, 2015 by carol. 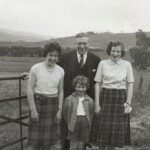 A very warm welcome to my first guest blogger, with some further information on Walter Hamilton RIACH and his family. 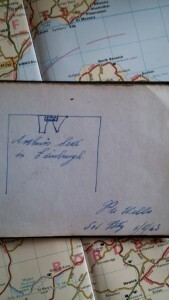 I was intrigued to see the recent blog concerning the background research on Walter Hamilton Riach, as I have been looking into him myself, as he and my father were cousins. If it is of interest to anyone, I may be able to add a little more to his and his family’s background. 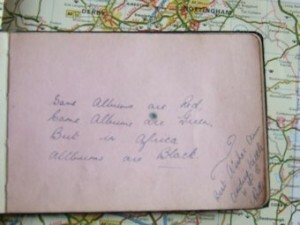 Walter Hamilton Riach’s (WHR) mother was Mildred Agnes Riach nee Baker, (sister of Eveline Maude Baker (EMB), my paternal grandmother) who had indeed married Lt. Col (RE) Arthur Dundas Riach on June 3rd in Newton Abbott, Devon. WHR was born June 24th 1897, and as noted previously, joined the Queens Own Cameron Highlanders where he was Capt., 5th Bn, was captured in France and died of his wounds shortly before his 21st birthday – like so many of his generation! 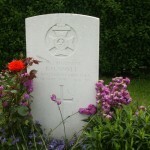 – on May 5th 1918; he is buried in Le Cateau Military Cemetery. In his earlier days he had been at school near Newton Abbott – Newton College, now no longer – where his brother and a number of his relatives were sent from India, including my father, Eric Robert Oxlade, his cousin, who was one year younger than WHR. He had then gone on to Haileybury Imperial Service College where he had been one of the first group of 23 pupils to join the College, which opened in 1912; 12 of his group of 23 were killed in the first war alone! 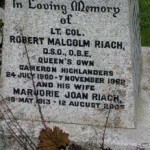 WHR had three siblings, two younger brothers, Lt Col. Robert Malcolm Riach, DSO, OBE, (RMR) born July 24th 1900, died Nov 7th 1962, who also joined the Cameron Highlanders and Lt. (RE) Wilfred Knight Riach, (WKR) born 8th August 1907, died 4th February 1928 while at RMQ Woolwich. WKR is buried at the Fort Pitt Military Cemetery in Kent, see photo below; how and why he died there, I have not been able to find out as yet. 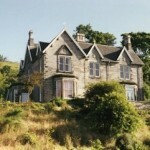 WHR also had a sister Margaret Stewart Riach, (MSR) born Jan 27th 1902. In 1911 the two younger Riachs (MSR and WKR) were listed in the census that year as staying with their mother and my grandfather Henry John Wilson Oxlade (their Uncle) at his house in Colliers Down, Caterham. WHR’s mother Mildred Agnes RIACH nee Baker (usually known as “Agnes”) was born on 22nd Sept 1876, and died 14th June 1953; she was buried 18th June in St Peters Church, Yateley, Hampshire; her grave is located close to a tree behind the building attached to the back of the church, see photo below. While in England she seems to have lived most of the time in Cornwall, where exactly I don’t know, but letters from her father confirm that she was there and when her husband Arthur Hamilton Dundas Riach was in England on home leave, that is where they lived, although at various times her husband gave his address as 30, Mattock Lane, Ealing. 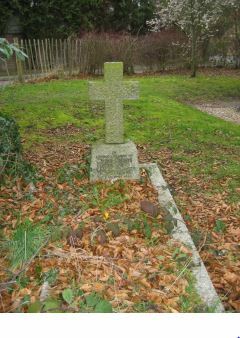 In Loving Memory of / Mildred Agnes / widow of Lt. Col. Arthur Hamilton Dundas Riach R.E./ Died 14 June 1953 / Aged 77 years. WHR’s younger brother, Lt Col. Robert Malcolm Riach (“Malcolm”), DSO, O.B.E., was born on July 24th 1900 and died on 7th Nov 1962. 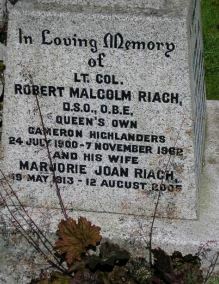 Also of the Cameron Highlanders like his older brother, Malcolm married in 1939 Marjorie Joan Howarth. His DSO was awarded in July 1940. 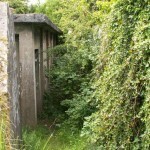 RMR and his wife are buried at the Colvend Parish church in Dumfries and Galloway. 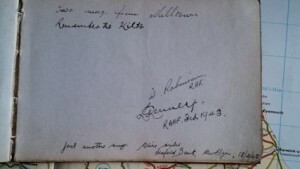 An interesting reference to RMR’s military career (and mentioning others of his family) is this extract from the description of an auction sale of various militaria: ‘Robert Malcolm Riach enlisted on the 18th December in 1919 and was appointed as 2nd Lieutenant at Aldershot and the following year moved with the 2nd Bn to Ireland where he was wounded during the SInn feinn operations. He transferred to the 1st Bn in 1925 and served in India and Burma until 1929 when he was seconded to the 1st Nigerian Regiment until 1934 when he re-joined the 2nd Bn proceeding to Palestine the following year. He was transferred back to the 1st in 1935 and later completed a tour of duty at Cameron Barracks until the outbreak of war when he rejoined the 1st Bn. Embarking with the Bn for France he commanded “A” Company with distinction and was one of the survivors at Dunkirk. Awarded the D.S.O. (LG 11/2/ 1940). 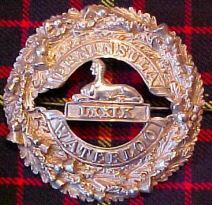 Commanded 2nd Bn Liverpool Scottish in May 1941 Awarded MID 29 April 1941 Awarded MID 10 May 1945 Awarded O.B.E. 24th Jan 1946. Commanded 4/5th Bn in 1947 until his retirement in 1950 as Lieutenant Colonel. BUT……take a good look at this lovely brooch and note that this is the pre 1881 version with the letters “LXX1X” beneath the sphinx. The Riach family have given great service to 4 their Regiment and to their Country. Now then, just who first owned this glorious brooch? It was made before 1881 so my guess is that perhaps RMR’s Great great Grand father might be a contender’. Women’s Air-Taxi Business. There is only one air-taxi business in England, and it is conducted at Hunstanton, Norfolk, by two women, Miss Dorothy Spicer, the first woman to gain the Air Ministry’s B certificate for ground engineers, and her partner, Miss Pauline Gower, daughter of Sir Robert Gower, M.P., the second woman in England to obtain the Air Ministry’s B pilot certificate. Miss Spicer is young and very attractive, and became engaged some time ago to Captain Robert Malcolm Riach, of the Queen’s Own Cameron Highlanders, who has just arrived home from serving in Africa, naturally desirous of claiming his bride. But Miss Spicer has broken off her engagement. So the three-seater Moth of the Spicer-Gower partnership, the former as mechanic and the latter as pilot, is still available for passengers. As mentioned above, WHR’s younger brother Wilfred Knight Riach died while at RMQ, and is buried at Fort Pitt Cemetery in Kent. WHR’s sister Margaret Stewart RIACH (“Stewart”), was born January 27th 1902, and married Dennis Noel Venables, born 24th (some records state 20th) December 1898, Lt. Commander, RN, on June 23rd 1928. He was commissioned in August 1914, made Lt on Nov 15th 1919 and retired 15th Nov 1927 as Cmdr. He was obviously called up again and was mentioned in despatches 11th Nov 1941, awarded the DSC on Jan 1st 1943 and bar on Jan 23rd 1945. He commanded HMS Alresford and HMS Bagshot, both minesweepers, and HMS Glenearn an Infantry Landing Ship. 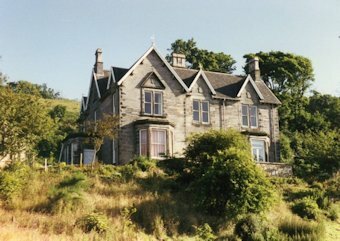 Margaret Stewart Riach and Dennis Noel Venables had three children: Robert Malcolm Venables, born 4th March 1935; Katherine Patience Venables who married an architect, Richard Watson, with whom she had a daughter and Hugh Spencer Venables, born ? and died 12th January 1946. Hopefully the above will fill in some more details for anyone looking for background on this branch of the Riach family! 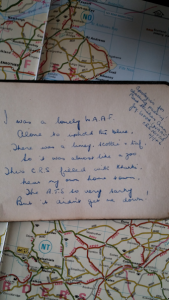 This entry was posted in News and tagged air-taxi, Army, Cameron Highlanders, campaign, casualty, conflict, cwgc, Dunkirk, family, Gower, History, Hunstanton, names, Norfolk, pilot certificate, Riach, Spicer, World War 2, WW1 on February 18, 2015 by carol. It was Eton College War Memorial, many years ago, that started me transcribing war memorials and I seem to have gathered a vast collection of photographs along the way – I hate to say that many still need transcribing, but at the moment another project has to take priority. But in the meantime, I will venture back to Eton College and a young man who I met (virtually) along the way. 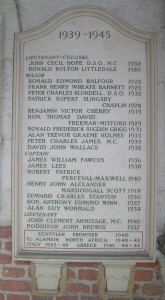 When I transcribed the Eton College War Memorial, all those years ago, I was fortunate enough to be contacted by a relative of one of the men whose name is carved in………….. I was going to say stone but I think it is in fact marble. A few emails went back and forth, with little bits of extra information and a photograph – it is so nice to know who you are writing about and it was my pleasure to be able to visit the grave, photograph the headstone and send over to the family. 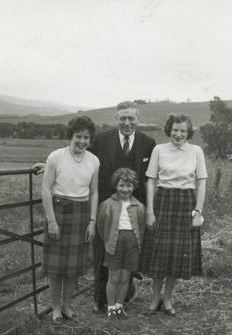 It also appears, that when doing a little research for the young man concerned I found out that his grandfather Hugh Scott 8th of Gala) was born in Bellie nr Elgin and his grandmother (Elizabeth Isabella Gordon) hailed from St Andrews, also in Elgin – small world as my mothers family also come from that area of Morayshire. Who am I talking about, well it’s Henry John Alexander Scott Makdougall who born on 6th February 1901, the son of Hugh James Elibank Scott-Makdougall of Makerstoun and his wife Agnes Jenkinson. Henry was educated at Eton College, leaving in November 1918. He sat exams for Sandhurst College on 11th November 1918. 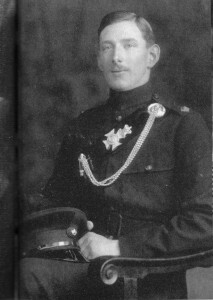 Henry was commissioned into the King’s Royal Rifle Corps with the serial number 12838, gaining the rank of Captain in the 60th Rifles (KRRC) in 1930. 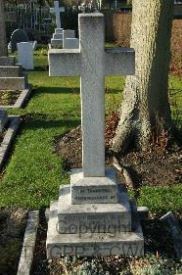 In 1934 his father, Hugh died and on 2nd April 1935. Henry legally changed his name to Henry John Alexander Scott Makdougall, becoming Henry John Alexander Makdougall Scott, 11th of Gala. This was recognised by the Lord Lyon King of Arms and on 2nd April of the same year his arms were matriculated. Henry served in WWII and I was told by a family member that it was on a visit back to his family home, Gala House, with his mother, other family members and staff stood outside, that he got in his car and drove off. His mother waved him away and said that would be the last time she would see her son. Captain Scott and one Second Lieutenant Scott were involved in fighting the enemy on the streets of Calais during May of 1940. The story goes that one was on one side of the street and the other was across the road. Both were killed on the same day and there seemed to be some confusion about who was where and what they were doing. These details don’t seem to matter. 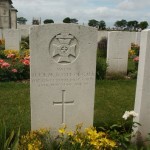 But what does matter is the men – Henry was 39 years old when he was killed on 26th May 1940 and his comrade was only 20 years old and both lie within the walls of Calais Southern Cemetery and rest a distance, probably, as wide as a street from each other. So it looks like a mother’s premonitions came true! The Probate Calender for England and Wales reads :- SCOTT Henry John Alexander MakDougall of Gala House, Galashiels died 26 May 1940. Confirmation of Francis Gillies Sutherland writer to the Signet Philip Beaumont Frere solicitor and John Douglas Hamilton Dickson writer to the Signet, Sealed Llandudno 28 July 1941. 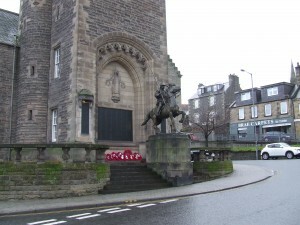 Henry, as well as being mentioned on the Eton King’s Royal Rifle Corps memorial, Henry also has his name on the Galashiels memorial to the fallen. Richard, their son, was born in the St Georges Hanover Square Registration District of London in the June Quarter of 1920 – one of four children. 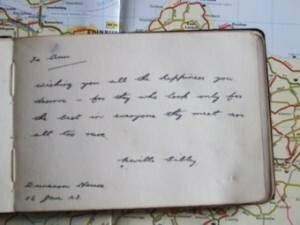 During WWII he, like Henry, served in the King’s Royal Rifle Corps and became known as 95645, 2nd Lieutenant R O Scott. The men a few connections, both came from landed families and both had links to Eton College. While looking for snippets of information about Richard, I came across his brother – Thomas Roland Scott 4th April 1923 also served during the war. Thomas served as Flying Officer, 115515 in the Royal Air Force Volunteer Reserve. On 22nd of October 1942, he too was killed and he rests in Porthmadog Public Cemetery, Caernarvonshire, with 17 other casualties from both wars. This entry was posted in General and tagged Army, Bellie, Bingley, Calais, casualty, conflict, Elgin, family, Ferrand family, Gala, Gala House, Galashiels, Hampshire Regt, History, Keighley, KRRC, memorials, military, Morayshire, Porthmadog, RAF, Regiments, Rotherfield Park, Scott Family, St Georges Hanover Square, St Ives Bingley, World War 2, WW1 on February 15, 2015 by carol. Due to technical problems – basically the blog decided it did not like being updated and said ‘NO, I’m not going to work’, which was a little annoying but after a break of not knowing which way to go I had decided to do a version 2 where the old blog would still able to be viewed, enabling you to still see what I got up to in the past, but you would also be able to read about what I’ve been up to, what has interested me and what I am up to now! So……………..when asking my son yesterday, to link the new blog to my website. After trying to explain what I wanted him to do and why, I was told not to be daft, why should I have 2 blogs when I already had one, even though it refused point blank to update and come back to life. After a few minutes of copying, pasting and button pressing, my blog like the phoenix rose from the ashes back to life! Who’s a clever boy then? I am back! A lot has happened in the world in the past 12 months – we have had the 70th Anniversary of D-Day, seen the Tower of London basque in a blanket of poppies remembering every soldier from the Commonwealth who gave his life for King and Country. 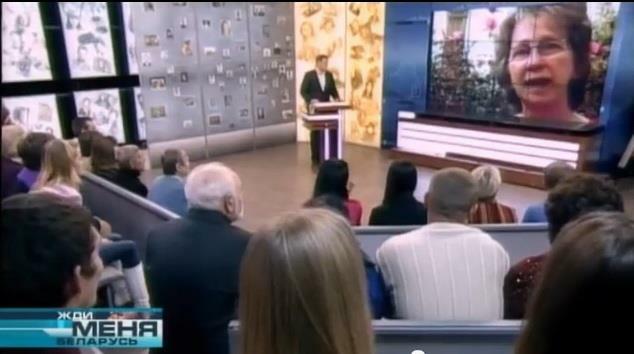 We have seen the world remember the outbreak of the Great War and many military projects have been granted funding. The funding is not a bad thing, nor is the remembering but there have been many groups and individuals, who for many years have remembered, started and completed projects on their own without any form of help both physical and financial. I know of a couple of local projects that a group of people have been wanting to undertake, only to be told that ‘we now have funding for that’ – lets wait and see. A few years ago I contacted an establishment with the view to adding to a project I had done years ago. I was told ‘oh! thank you for the offer but we are doing that ‘in-house” – that ‘in-house’ project is still to be started! the day I went to the prints to collect my proof copy, I’d been welcomed as I had been on my previous visits. Then I was handed a proof copy, my book. I must admit I was overcome with emotion – glad that it was nearly all over, sad that some very important people would never see it but happy and proud of what I had achieved, and very grateful that a wonderful young lady had given her time to work her magic, making the book so totally different to how a self funding charity cookbook should look – it is amazing. The book is for sale from yours truly and the profit from each book – £2 goes to Macmillan Cancer Support – now how good is that, you get the book full of wonderfully donated recipes and a charity gets your donation, everybody wins! 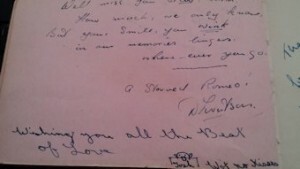 This entry was posted in News and tagged Army, campaign, casualty, conflict, cookbook, D-Day, family, History, Lizzie Riach with Family and Friends, memorials, memory, recipe, records, War, World War 2, WW1 on December 26, 2014 by carol. I left you a while ago with Russian family history programme pt 1 , saying that when I posted the story I would be in Belarus with my daughter. I had planned on my return to write about our trip, telling you of the good times and the bad, the ups and the downs, the laughing and the crying and the hectic days we spent travelling around Minsk, Slonim and Lida with the production team from ‘Zhdi Menya’ (Wait for me). I was all set to continue the adventures – the pictures and videos were all chosen and ready for the words to put into place, BUT, so many people have said I should work it into a talk. What should I do? The blog would be easy, just putting words add some of our pictures and ‘bobs your uncle’ as they say. I was talking to a friend last week, another family and local history ‘nut’, who I had not seen to chat to since my adventure in May. Well, after sitting with a coffee and one of her slices of wonderful cake, she asked me about the trip, I was going to say ‘journey’ but everyone uses that phrase now for things that happen in their lives, and quite honestly, I’m getting bored of the phrase, so trip it now is. She asked me how it went, she drank her coffee – mine got cold. After sitting quietly while I went through the events, what we saw and how life is in Belarus is, ‘you have to do a talk’ were her words. So, a talk it will become. Whether groups will want to invite me to tell them of my trip and how my daughter and I met her father’s family, that will be a different matter. 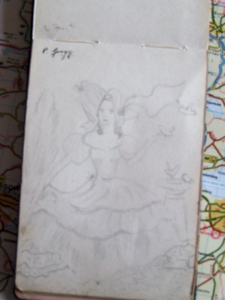 The tale will be family and local history – a little bit UK and a little bit Bellarus. It will tell how the effects of a war enabled me to meet my husband and have two wonderful children. And it will also tell that language can be no barrier if people really want to communicate. It could be fun as I have never liked Powerpoint. This entry was posted in News and tagged Belarus, History, Lida, Minsk, Sklinar, Slonim, Szpak, wait for me, World War 2 on October 1, 2013 by carol. 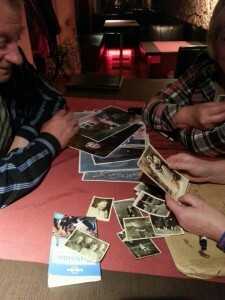 A few years ago I sorted through all the family photographs and put them in family folders. There were lots of people I knew – aunt and uncles, family members, family friends and lots of people who were totally unknown to me. Some of the photographs, mainly from my mum’s time in the war had a short sentiment followed by a single name, others bore no wording. Why should mum right on the reverse who they were – she knew them! 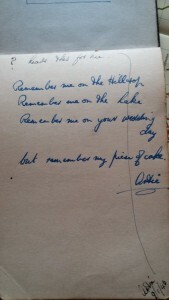 My dad also had photographs, not so many, but they also had either a few words or nothing. In a moment of frustration of trying to find out who these people were Who Are You? was born. The pictures were scanned and then put into an online photo album with as much information about the picture as I could find on the reverse or deduce from the image. I was loaned pictures, begged pictures, scanned them all and indexed them – cross referencing them if I knew they were from one place but the photograph was taken elsewhere. All in all there are pictures of unknown and known people from the British Isles, Canada, America, Ukrkaine, Africa and a section of WW1 & 2. Just to give you an idea as to some of the pictures – there is a family photograph in the Morley section of a couple and a small child written on the reverse is ‘ Aunt Mary ‘ but, who was Aunt Mary ? Is she the lady or is she the child ? Other images from the Morley section include members of the Donkersley Worrel, Kershaw families – most of the Morley photographs were handed to me as one group, so therefore I have kept them together and linked to other sections, but a photograph of a young man taken by Chas. A. Saylon, photographer, S. E. cor. Sixth & Penn Sts, Reading, PA. ( or South East corner of Sixth & Penn Streets). Who is this young man ? Was he visiting family or did he live in Pennsylvania ? This section of my site Wakefield Family History Sharing has not been available for a while, but is now available and shortly with have the addition of extra pages with a connection to Victorian and Edwardian photographers. This entry was posted in News and tagged family, History, names, photographers, photographs, studio, Wakefield, who are you, World War 2, WW1, yorkshire on December 27, 2012 by carol. Your family came from London, the South or the Channel Islands. You know they had children during the period 1939 – 1945. Can you find their birth registered in that area ? No ! I found out the other day that during the early years of WW2 families, women and/or children were sent ‘up North’ for safety. As a result of that Wakefield had its population artificially risen, this lead to a rise in the number of births in the region. 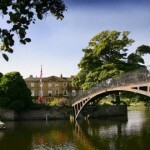 Walton Hall, a maternity home in the Wakefield area had a great number of extra births with the addresses of the parents being London, Birmingham, other areas in the South and ofcourse, those families who lived on the Channel Islands, the only part of Britain to be occupied by enemy forces. If you can’t find the birth you are looking for try looking in a wider area as they could have been Registered in a Yorkshire town. 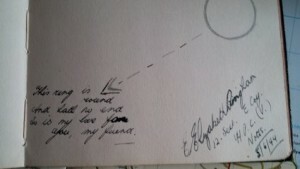 This entry was posted in General, News and tagged Birmingham, Channel Islands, evacuate, London, Southern Counties, Wakefield, War, World War 2 on December 8, 2011 by carol.